Toronto is getting its very own outpost of the renowned Taglialatella Galleries, a New York-based luxury brand that's best known for its impressive array of pop and street art. Opening this June, Canada's first Taglialatella Galleries location will be in Yorkville, right next to nightlife king Charles Khabouth's glamorous new Italian fine-dining restaurant Sofia. It is Khabouth, in fact, who's bringing the luxury art dealer here through a partnership with INK Entertainment. 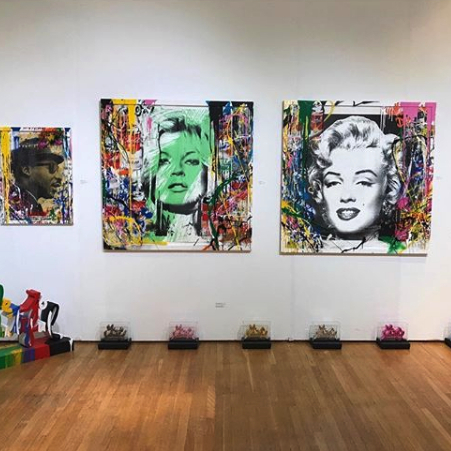 You'll actually be able to walk between Sofia and Tagliatella through a joint thoroughfare, according to INK, allowing them to explore works from the likes of Banksy, Mr. Brainwash, Russell Young and a wide variety of wicked artists at will. "The space is an elixir of fine art, design and entertainment, transcending the usual gallery experience," reads a press release issued today. A curated collection of art will also be displayed within the restaurant itself, all of it available for purchase. "What you will see is unlike anything we have in the city – the art is modern, daring and makes a statement," said Khabouth in the release. "We will be unveiling an unbelievable piece this summer that I trust will be one of Toronto's most Instagrammed places."